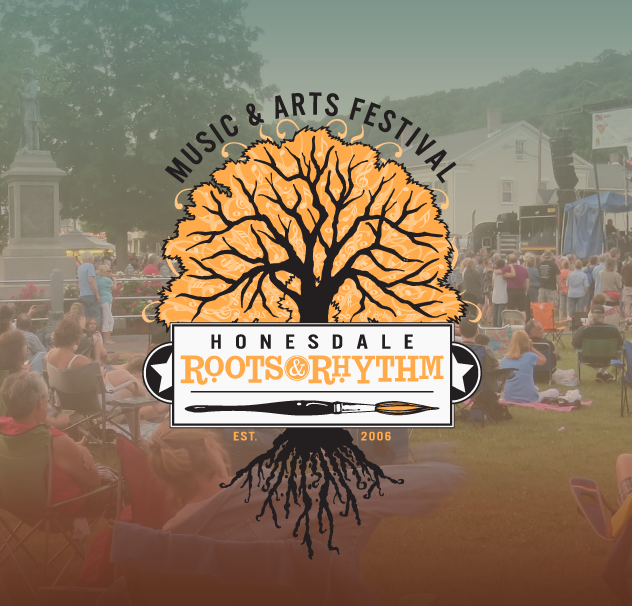 The Honesdale Roots & Rhythm Music & Arts Festival is proud and extremely grateful to receive a grant from The John and Helen Villaume Foundation. The Foundation has supported the free music and arts festival in downtown Honesdale through its charitable giving in past years. 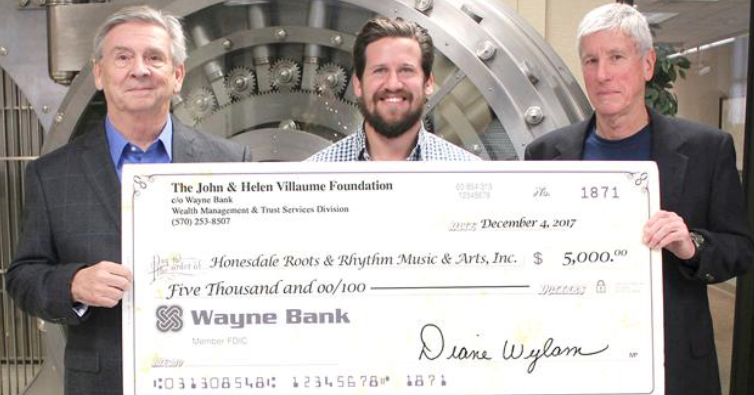 Jeremy Watson, Honesdale Roots & Rhythm board member, received a check for $5,000 from Villaume Foundation board members Paul Edwards and Jon Villaume. The John and Helen Villaume Foundation established by Honesdale natives, John and Helen Villaume, is dedicated to benefit charitable, religious, scientific, literary and educational programs within Wayne County. The 2018 music and arts festival will be held on Saturday, June 16.